WHAT IS HAPPENING IN THE NCJGA WORLD!! We hope you all are ready for our 2019 Season to start! Register to play in a fun team best ball at Goat Hill Park. Play ground fun, golf ball coloring, 2018 Player of the Year award presentation, Pizza and Sponsor recognition after shotgun. 2019 Sponsorships are coming in and we would love for your Charity of choice to be NCJGA. Thank you Jack Collier Roofing for sponsoring our first event, Reidy Creek event in Memory of his daughter Nurse Jill. Thank you Arnaldo Family sponsoring the LaCosta Parent/Junior. Thanks to all the sponsors and great families who make the NCJGA fun, affordable and so much more! 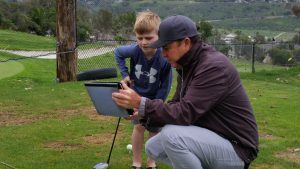 Book Coach Dave For A Lesson! We post Great Pics & News in our Social Channels all the time.